No Electric Bill! No Water Bill! No Utility Deposits! With everyone struggling to get by these days, large utility bills in the summer and winter can put a real strain on a persons/families budget. Rolling Hills Apartment offers you the peace of mind of knowing exactly what your cost for housing will be each and every month. Perfect for the individual or family living on a fixed income. For people who want the best of both worlds – rural living and the conveniences of city life – Rolling Hills apartments are ideal. Are you looking for a rental in the Nashville West area? Look no further! 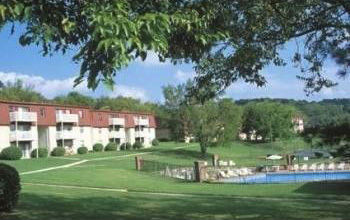 Rolling Hills Apartments (near I-40) offers 1, 2, and 3 bedroom options, ALL INCLUSIVE! This means that your utilities are covered by your rent, so no need to worry about unwanted bills in your mailbox! Perfect for the budget conscious family or single resident. We provide you with a wonderfully convenient west side location. Institutions of higher learning (Vanderbilt, Belmont, Fisk, Meharry, Tennessee Tech & Nashville Tech), excellent hospitals (Baptist, St. Thomas, Centennial & Vanderbilt) and the Nashville Business District are within an easy 15 minute drive. Adjacent area shopping offers multiple choices of grocery and discount stores. As a bonus, Nashville West is within walking distance (Publix, Costco, Target, Dicks, Best Buy, Logan’s, Red robin…) So if you are looking for an apartment in the West Nashville area, contact us at Rolling Hills. We look forward to being your neighbor! The community has features such as on site laundry, swimming pools, a playground, and private security. Also, Rolling Hills is Pet Friendly ($300 non refundable deposit) call for more information.